Rachel S. Moore is president and CEO of The Music Center, Los Angeles’ premier performing arts center. In that capacity, she leads the $70 million company that manages The Music Center campus and operates and programs Grand Park on behalf of the County of Los Angeles. Moore also oversees The Music Center’s work as presenter and curator of programming, including its internationally acclaimed dance series, Glorya Kaufman Presents Dance at The Music Center, as well as a number of innovative programs, events and activities that are introducing new audiences to the performing arts. Additionally, she guides The Music Center’s multi-faceted arts education initiatives, which reach over 600,000 children and youth all over Southern California. Moore joined The Music Center from American Ballet Theatre (ABT), one of the world’s great dance companies, where she served as CEO since 2011 and as its executive director since 2004. She is credited with transforming ABT’s brand, securing recognition for the company by the United States Congress as “America’s National Ballet Company” in 2005. Moore comes from the performing arts, having danced with ABT as a member of its corps de ballet from 1984-1988. Prior to her appointment to lead ABT, Moore served as director of Boston Ballet’s Center for Dance Education (2001-2004). From 1998-2001, she served as executive director of Project STEP, a classical music school for students of color in Boston and managing director of Ballet Theatre of Boston. She has also held senior positions with Americans for the Arts and the National Cultural Alliance, both in Washington, D.C.
Moore served on the advisory committee for the Los Angeles County Equity and Inclusion Initiative, which developed recommendations to enhance the participation and leadership of individuals from underrepresented communities in the arts and served on the board of the LA 2028 Olympic Games Bid Committee. 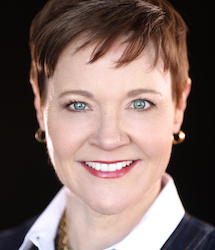 Currently, Moore serves on the Executive Committee of the Central City Association of Los Angeles, as an officer and trustee of the Economic Club of New York, as a member of the Los Angeles Coalition for Jobs & Economy, on the Board of Advisors of Project STEP and on the Brown University Arts Advisory Council. She served as a member of the Child Performer Advisory Board for the New York State Department of Labor, on the Board of Trustees for Dance/USA from 2007-2012 and the National Dance Foundation of Bermuda from 2007-2012, and as a member of the United States National Commission for UNESCO from 2005-2009. She is the author of a book, The Artist’s Compass: The Complete Guide to Building a Life and a Living in the Performing Arts (May 2016). Moore served as adjunct faculty in Columbia University’s Arts Administration program, specializing in non- profit finance, from 2006-2010; in the dance department of Emerson College from 1998-2000; and an instructor of non-profit finance in Boston University’s Graduate Program in the Arts in 2000. She holds an AB in Ethics & Political Philosophy from Brown University, Phi Beta Kappa, Honors (1992); and an MA in arts management from Columbia University (1994). A native of Davis, California, Moore spent much of her early childhood abroad with her family, living in India and Saudi Arabia. As a teenager, she spent summers in New York City and trained on scholarship at the School of American Ballet and the American Ballet Theatre School, before becoming a professional ballet dancer. Her father was an economist at the University of California at Davis, and her mother was an economist and actively involved in Davis public service. She lives in Los Feliz, CA with her husband Rob Ryan.